Set in Glacier country is this 23 room classic motel with all the modern updates. THE perfect place to simply hang out or explore the area! The full service year round lodge sits alongside the Clark Fork River. Offering RV sites, clean motel rooms and dining and bowling among other amenities. 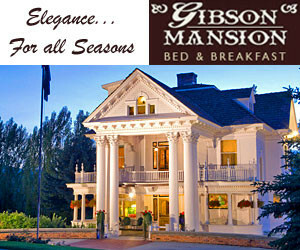 Beautiful Spacious Rooms, Houses, Deluxe Cabins and Full RV Hookups/Tent spaces all along the Clark Fork River. Canoe and Kayak right form the property. Thompson Falls is located off MT-200, 100 miles northwest of Missoula. 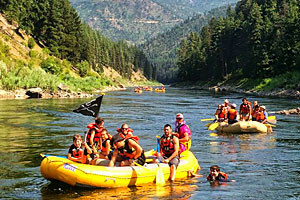 Enjoy water activities on the Clark Fork River and Thompson Falls and Noxon Reservoirs. Visit the Old Jail Museum. Camp, hike, backpack, hunt, and more in the surrounding national forests. Thompson Falls offers a variety of accommodations, restaurants, and shops. The small town of Thompson Falls is nestled in the verdant Clark Fork River Valley in northwest Montana. Originally founded by a British explorer and fur trader, by the end of the 19th century, Thompson Falls was an important mining location linked by the Northern Pacific Railway. Today, the town offers visitors an array of outdoor activities including camping, hiking, snowmobiling, skiing, horseback riding, and hunting in the surrounding national forests. Sight-seers can take in views of waterfalls, creeks, peaks, and vast amounts of wildlife. Water recreationalists can spend time fishing and floating the Clark Fork River as well as boating, fishing, swimming and paddling on the river’s two reservoirs – Thompson Falls and Noxon. Town attractions include the PP and L Dam, the Old Jail Museum, and plenty of amenities. Thompson Falls, MT is located off Highway MT-200, just 100 miles northwest of Missoula. During your visit, stay in a motel, lodge, ranch, RV Park, bed and breakfast, or in national forest, state park, or private campgrounds. Eateries include an ice cream parlor, cafe, lodge, and grill; meanwhile the gift shops, boutiques, and galleries will satisfy shoppers. Thompson Falls also has two banking locations, service stations, local airport, and Chamber of Commerce. Lolo National Forest, Clark Fork River, Thompson Falls State Park, and Thompson Falls and Noxon Reservoirs serve as the main backdrops for all sorts of year-round activities including boating, fishing, rafting, hiking, camping, horseback riding, wildlife viewing, cross-country skiing, snowshoeing, and more. Local annual events include the Rose and Perennial Garden Show, Heritage Days, and the springtime Flat Iron Quilt Show. Another popular attraction is the Thompson Falls PP and L Dam. Tour this amazing manmade creation before recreating on one of the reservoirs. From Missoula, head west on Interstate-90 for 8 miles before taking exit 96 and merging onto MT-200 W/US-93 N. After 27 miles, turn left to remain on MT-200 W and continue another 65 miles. Along the journey, take in great views of the Clark Fork River or pull over for a picnic or for a few hours of fishing or floating. Sanders County is located in north western Montana and home to the city of Thompson Falls.